The divorce process is stressful enough, so when you receive a notice that you must appear for a case management conference, it’s natural to feel panicked. You can relax; this conference is probably the most benign proceeding of any you’ll have to deal with. It only rarely takes place in the courtroom. Witnesses aren’t present and no one offers evidence. The judge just wants to talk with you, your spouse and your lawyers, if you’ve hired them -- which may be a good idea, particularly if you think you’ll end up going to trial. Most states offer forms for case management orders or statements on their judicial websites. They usually require that you complete one in advance of the conference and submit it to the court. The form asks for the same information the judge will want to discuss with you at the conference. In fact, some states will waive the conference if you and your spouse complete the order together and sign it, forwarding it to the court before the conference takes place. If you do this, there’s really nothing left for the judge to talk to you about. If you must attend the conference, it’s something like a fact-finding session. The judge will review your submitted order and identify what issues you and your spouse are contesting. He may try to help you work toward a settlement if it doesn’t appear that you’re too far apart on certain issues. He’ll set deadlines by which you and your spouse must complete certain tasks unless you’ve already agreed on them. These tasks will most likely include discovery -- the exchange of information that’s important to your case -- and getting appraisals done to value certain assets such as real estate or collectibles. The judge will name appraisers and he’ll decide which of you should pay for their services and in what percentages. If you have children, he’ll schedule parenting classes if your state requires them, and most do. If you don’t resolve every issue between you either before or at the conference, the judge will also schedule a trial date. Some jurisdictions require that you and your spouse attempt to resolve as many divorce issues as possible in preparation for the conference. The idea is to identify what aspects of the divorce you agree on and which ones you’re going to dig your heels in over. For example, you might agree that your spouse will buy you out of the marital home because you can’t afford it on your own. You can agree or “stipulate” to this so it won’t be an issue at trial and the judge can focus on other things. If custody is contested, you can usually indicate this on your proposed case management order. 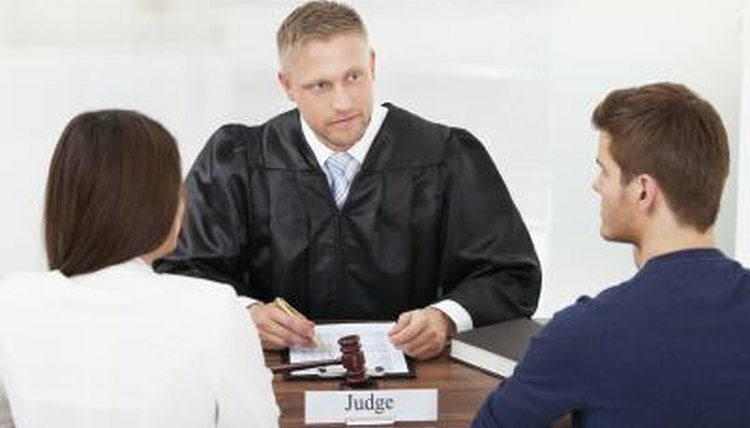 The judge might order mediation or some other type of alternative dispute resolution after the conference to help you wrap up outstanding issues. Some states require that you and your spouse meet with a case manager as part of your divorce proceedings. This isn’t the same as a case management conference, but it’s similar in some respects. The case manager isn’t a judge. He helps you and your spouse calculate child support according to your state’s guidelines. In some jurisdictions, he may also address property issues. If you don’t agree to the amount of child support arrived at during this meeting, your case will proceed to a hearing, either before the judge or, in some states, a magistrate. Bird, Beverly. "How to Prepare for a Case Management Conference in Divorce." , https://legalbeagle.com/4826251-prepare-case-management-divorce.html. Accessed 18 April 2019.